Video: What’s in your hiking first aid kit? 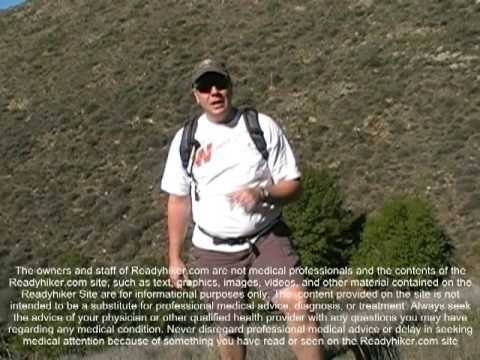 Home » Videos » First Aid Videos » Video: What’s in your hiking first aid kit? Former EMT and current ready hiker, David (The Turtle) shares the contents of his personal hiking first aid kit. Everyone who hikes should carry a quality first aid kit. We show you what we have to help you in your hiking adventures. I love the Central Coast Of California. The hiking and walking areas are some of the most beautiful in the world. I love hiking here so much that I helped create this site to share images and information on some of the best places to hike on the Central Coast. I hope you enjoy what we have shared with you. 2 Responses to Video: What’s in your hiking first aid kit? You’ll find some wonderful hikes up at Glacier Point that would be wonderful for the children. The Taft point hike was a favorite of mine when I was a kid. One can find also some good hikes in Toulomne meadows. By the Tioga entrance there is a trail (Gaylor lakes I believe) Gorgeous Higher country lakes. You may also do the mist trail inside valley for waterfall views up Yosemite falls. I’m terrible about names of trails-I’ve been hiking them all my life, but don’t use the correct names!